Reeve LeClaire is a college student, dammit, not Daryl Wayne Flint's victim. Not anymore-not when Reeve is finally recovering a life of her own after four years of captivity. Flint is safely locked up in Olshaker Psychiatric Hospital, where he belongs. He is walking the grounds of the forensic unit, performing his strange but apparently harmless rituals. It seems that he is still suffering the effects of the head injury he suffered in the car crash that freed Reeve seven years ago. Post-concussive syndrome, they call it. Tia and Mike Baye never imagined they'd become the type of overprotective parents who spy on their kids. But their 16-year-old son, Adam, has been unusually distant lately, and after the suicide of his classmate, Spencer Hill they can't help but worry. They install a sophisticated spy program on Adam's computer, and within days they are jolted by a message from an unknown correspondent addressed to their son: "Just stay quiet and all safe." Meanwhile, Betsy Hill is struck by a photo that appears to have been taken on the night of her son's death...and he wasn't alone. 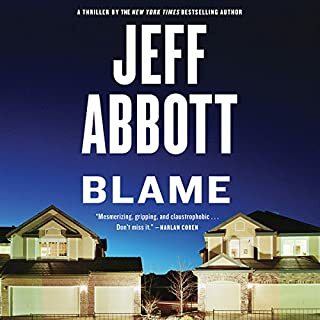 A Washington, DC, lawyer and a frequent major media commentator on the Supreme Court, Anthony Franze delivers a high-stakes story of family, power, loss, and revenge set within the insular world of the highest court of our country. Among Washington, DC, power players, everyone has secrets they desperately want to keep hidden, including Sean Serrat, a Supreme Court lawyer. Sean transformed his misspent youth into a model adulthood and now has one of the most respected legal careers in the country. Marvelous legal thriller! Supreme Court intrigue! Some places seem too beautiful to be touched by horror. Summit Lake, nestled in the Blue Ridge Mountains, is that kind of place, with charming stilt houses dotted along the pristine water. But two weeks ago, Becca Eckersley, a first-year law student, was brutally murdered in one of those houses. The daughter of a powerful attorney, Becca was hard-working, accomplished, and ambitious. Now, while the town reels with grief and shocked residents gather to share their theories, the police are baffled. Not far from Washington, D.C., in a wooded area of Northern Virginia, a small house at the end of a gravel road serves a secret purpose. With its sophisticated security apparatus and hidden miniaturized cameras, it is being used by the FBI to interview one of the most important witnesses the agency has ever had, a young woman with an incredible story to tell. But a few people know about the secret meeting. And for them, a violent drama is about to begin. Ten strangers, recruited by an edgy new reality show and marooned on an abandoned island overrun by wildlife. One dies in a horrible accident. Nine realize they are all past survivors, alive only because they've beaten incredible odds once before. One by one, their hidden secrets are revealed. Eight discover they are trapped. Caught in a game so deadly that the most terrifying experiences of their lives were only its qualifying round, they must now face the greatest danger on the island... each other. In one hand small-time crook Stokes holds a backpack stuffed with someone else's money--$350,000 of it. In the other hand, Stokes has a cell phone, which he found with the money. On the line a little girl he doesn't know asks, "Daddy? Are you coming to get me? They say if you give them the money, they'll let you take me home." Rumor has it there's a Russian you can turn to if you're very rich, and need dirty deeds done without a trace. The CIA calls him Ivan the Ghost because he's operated for years without leaving a trail or revealing his face. 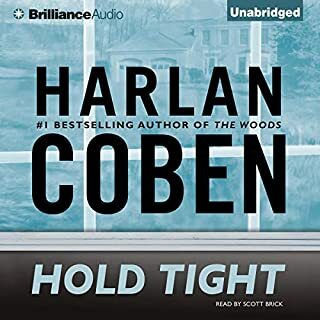 While driving along a suburban back road, Hilary Blum, who's just lost her job and whose deadbeat husband has left her alone to care for her son with Asperger's, witnesses a freakish accident. A car ahead of her careens down a hill and slams into a tree. Stopping to help, she discovers the driver dead - and a satchel stuffed with a half a million dollars. Protagonist is missing a moral compass! 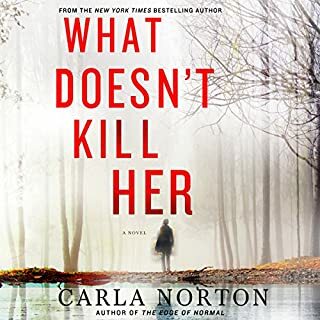 When Caitlin Sommers finds herself alone in a deserted parking lot with blood on her clothes and no memory of the past few months, it seems like one of the nightmares that have tormented her for years...but it's all too real. Desperate to learn the truth about where she's been and what has happened to her but terrified of what she may find, Caitlin embarks on a search for answers. Her journey takes her from the safe suburban world she knows to a seedy town she's never heard of, where a terrible truth from her past lies hidden - a truth she can't quite remember yet can't completely forget. ©2015 James Hankins (P)2015 Brilliance Audio, all rights reserved. 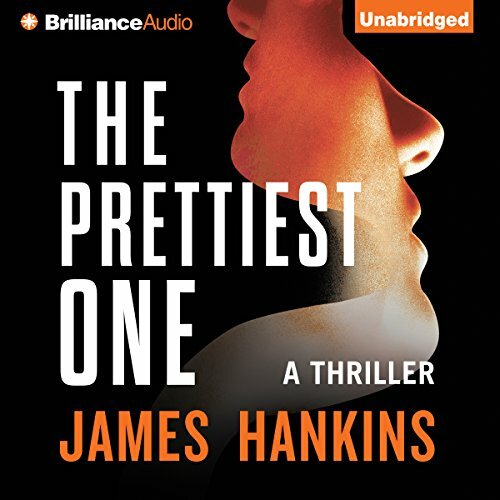 Would you consider the audio edition of The Prettiest One to be better than the print version? 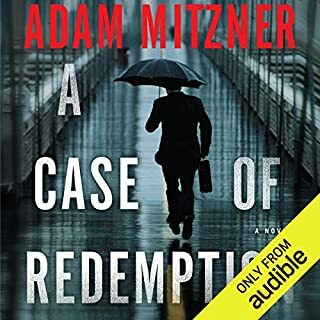 Although I choose an audio book for almost every book, i would still consider this audio book to be better than the print version. Although I will say, if I reading the book, I would definitely say "bogeyman" differently than it was pronounced in the audio version. It took a while to get used to that. What was one of the most memorable moments of The Prettiest One? I didn't have an extreme reaction, but I did laugh a couple times and thoroughly enjoyed the book. I was also very satisfied with the ending. This book turned out to be better than I originally thought it would be. I would recommend to other and now look forward to future works by James Hankins. This book is AWESOME! From the first word uttered this book hooks you. The human brain is amazing and this book exposes the reader to how the brain protects us. The three main characters work well together & the humor is believable despite the circumstances. Want a good listen that has a strong female character that is not a cop? Then get this book; it is on the cheap side but lacks nothing in story, narrator, nor recording quality. I don't know why this book is cheaper than the author's other books but this book is worth way more. This is boring and unbelievable. I simply do not believe that either her husband or her "fiance" believed her story. It doesn't make sense that they would not have any doubts. Having said that, I can't finish the book. The worst thing is that I dreaded listening to it so much that, for a long time, I stopped listening to anything. I couldn't finish the book and I couldn't move on. So I finally pulled the plug and am moving to, hopefully, a better story. I wish I could give 0 stars. Once I started, I didn't want any interruptions till I was done. I mean, who wants their roller coaster ride interrupted, am I right?? And as psychological thrillers go, this was indeed a ride from start to end. 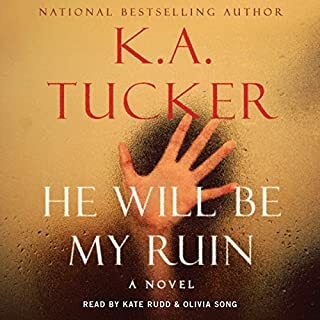 Good narrator too (as you know, an excellent story can be ruined by a mediocre narrator.) This one had it all, and I enjoyed trying to out guess the author as to the ending. All around good entertainment. A fine thriller with some serious problems. No. There are so many other authors whose books don't try one's patience with unbelievable contrivances. So many books, so little time! A number of my criticisms may be nit-picking, but I see that other readers have noted them as well. Both the author and the narrator make a series of mistakes (the narrator's repeated mispronunciation of Boogeyman, f'rinstance) that pile up after a while. Another: In the last few chapters, Caitlyn asks so many "why" questions that this becomes annoying. Any good writer knows not to repeat himself so many times, it's just basic rules of writing. And so forth. I am not the author. That's his job. Given how many readers loved this book, I'd say that he probably feels pretty successful. What three words best describe Bon Shaw’s performance? Another game that I am no good at. Overall I like his voice. If he were narrating better writing, he might be very enjoyable. I didn't like him that much reading Shady Cross, as the characters were almost universally repulsive. Speaking of repulsive: the guy who calls himself Chops, who is a real, touching good daddy, who then goes out to his "workshop" and tortures his victims before chopping them up and putting various body parts in baggies? What fun! Absolutely not. I did see a fantastic horror movie recently (Get Out). The material in that screenplay was admirable, effective writing that examined the topic of race in great detail, with intelligence and drama and a fair amount of wit: Mr. Hankins wishes he could ever write like that. Nope. Not my cup of hemlock-poisoned tea. This psychological thriller was a fun read from beginning to end. 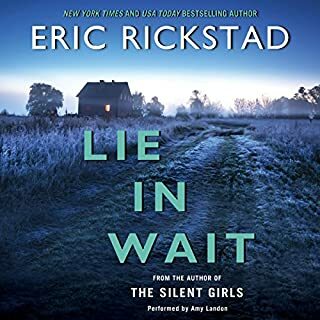 Yes, the writing was somewhat flawed and the premise is certainly debatable but if you want an entertaining wild ride, then you should take a look at this one.... it's about amnesia and how it leads conveniently to plot twists for a young woman. After a traumatic event, a woman loses her memory. The first time it happened, she was a child and now it happened again in her marriage. She even took on a different personality. This is a great book!! Could not stop listening!! Say in the car for ten minutes after I got to my destination just so I could hear the outcome of one situation ... But it never stopped, so I had to just stop, go into my workplace, and come back out at lunch time to listen to it! It was wonderful. If you're on the fence, get off! It is a great book!!! The Prettiest One - Good little story, a little far fetched sometimes, & often repetitive , author telling you previous bits too often.